The Chicago Bears won&apos;t have to wait long to see their former defensive coordinator on an opposing sideline. The Bears will face Vic Fangio and the Denver Broncos in Week Two of the season as Chicago travels to Fangio&apos;s new home town. The Bears at Broncos matchup will be one of three late-afternoon games on the week&apos;s slate. 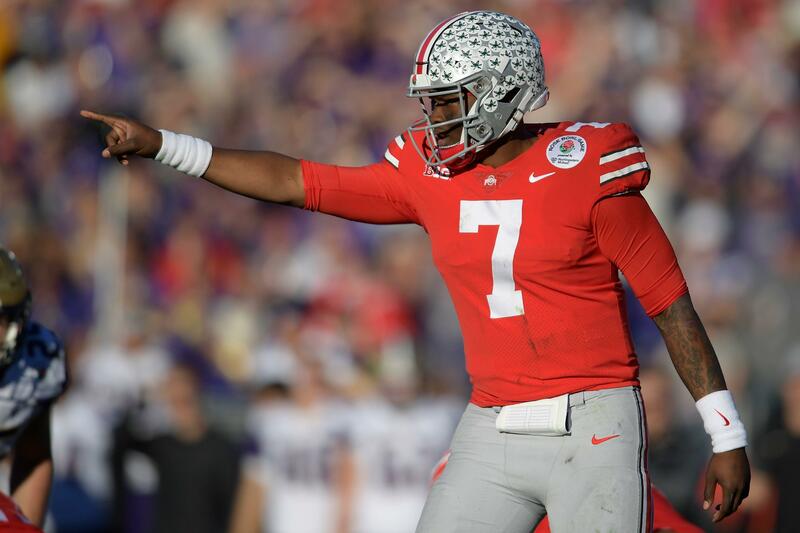 Former Oklahoma quarterback Kyler Murray scheduled a visit with the Washington Redskins, and Ohio State&apos;s Dwayne Haskins will meet with the New York Giants this week. Murray is projected to be a top-10 draft pick, with speculation the Arizona Cardinals want the Heisman Trophy winner with the No. 1 overall pick. Haskins, one of the top quarterback prospects available in this month&apos;s draft, has already worked out for the Oakland Raiders and visited with the Denver Broncos and Redskins. A list of some of sport&apos;s greatest comebacks after Tiger Woods ended an 11-year major championship drought with victory at The Masters on Sunday: INDIVIDUALS Golf: 2019 Tiger Woods. The American superstar wins his fifth Masters to claim his first major championship in 11 years. The triumph completed a remarkable comeback for Woods following years of surgeries and personal problems that convinced many that the American would never again win one of golf&apos;s four majors. Dwayne Haskins was going to make an impression at his Denver Broncos interview, one way or another. When Haskins, the Ohio State quarterback who has a chance to be the second quarterback selected in this month&apos;s draft, met with Broncos general manager John Elway, he made a bold choice in his wardrobe. He wore an Elway jersey to his interview with Elway, Denver&apos;s general manager, according to SI.com&apos;s Kayln Kahler. If the Cardinals decide to trade quarterback Josh Rosen, we can apparently cross the Broncos off the list of potential destinations. NFL Network reported today that the Broncos are not interested in trading for Rosen. Broncos General Manager John Elway passed on Rosen in last year&apos;s draft and apparently hasn&apos;t changed his view that Rosen is not the man to be the Broncos&apos; quarterback of the future. 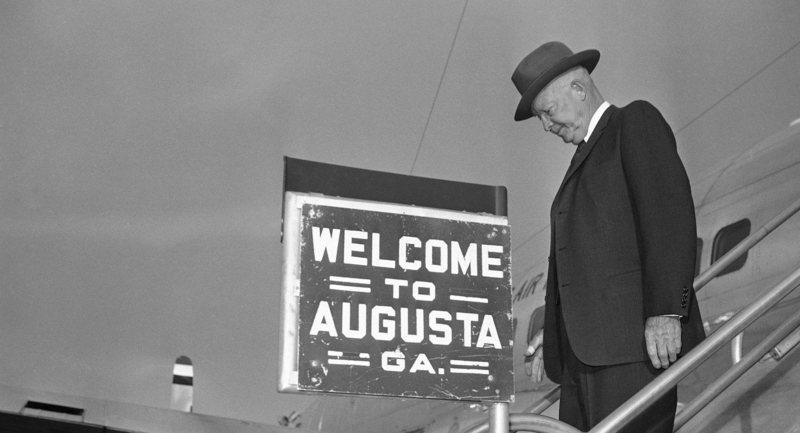 Augusta National Golf Club is on the must-play bucket list of pretty much everyone who&apos;s ever swung a golf club. Peyton Manning: The former quarterback shot a 77 during a round at Augusta in 2013, part of a team-building exercise with Denver Broncos brass. John Elway: The only Broncos QB with a more sterling record on the field than Manning also beat him on the golf course, shooting a 72 during that same round. Iowa tight end Noah Fant scheduled for pre-draft visit to 49ers originally appeared on nbcsportsbayarea.com The 49ers clearly have appreciation and respect for Iowa tight ends. Although the club&apos;s top offensive threat is George Kittle, the 49ers are still doing their homework on tight ends in the draft. The 49ers are scheduled to host Iowa tight end Noah Fant on a pre-draft visit this week, according to a source. The Patriots signed tight end Austin Seferian-Jenkins on Wednesday and they spent time with a couple of other veteran offensive free agents as well. Field Yates of ESPN reports that wide receiver Demaryius Thomas and running back T.J. Yeldon were in for visits with the team. Thomas was drafted by the Broncos when Patriots offensive coordinator Josh McDaniels was the team&apos;s head coach and was traded to the Texans last year after eight and a half seasons in Denver. The Broncos have gone 20-28 over three seasons since Peyton Manning retired and their moves for Case Keenum and Joe Flacco the last two offseasons show that they have not found a long-term replacement for Manning at quarterback. Manning came up when defensive end Derek Wolfe was talking to reporters about the leadership that&apos;s been missing over the last three seasons and his belief that head coach Vic Fangio can be the man to change that. A guy like Vic, he comes in and he&apos;s a no-nonsense, old-school type of guy who still likes to have fun. After his visit with the Broncos, Missouri quarterback Drew Lock will head to Los Angeles to meet with the Chargers, Tom Pelissero of NFL Media reports. The Chargers also have had Duke quarterback Daniel Jones for a visit. Even though they signed Tyrod Taylor as Philip Rivers backup, the Chargers have started thinking about the long-term future at the position.